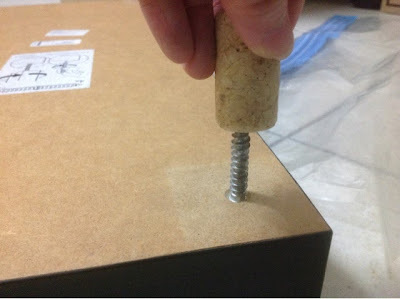 Simply twist and screw it onto the sticking out screw. 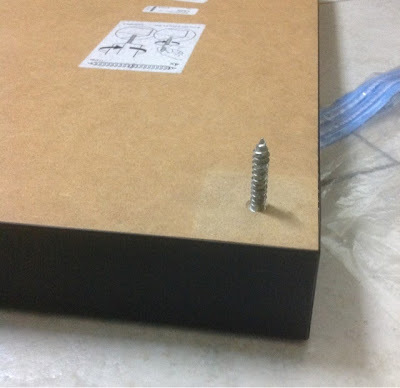 The sharp pointy screws are now well wrapped up and no one would get hurt. 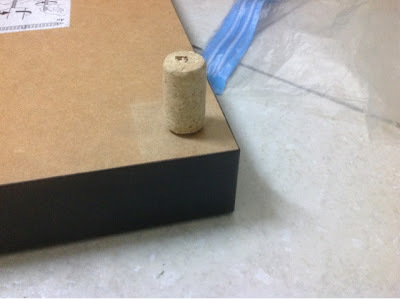 Hoarding on the old corks did pay out eventually.